For courier deliveries, FASTWAYS will send you an email with a tracking number so you can check on your delivery directly with the courier. The delivery time slots to each location is reglular (e.g. early or mid morning, or early or late afternoon etc) and with your tracking you can get a good idea of delivery time. Unfortunately, we are unable to call you upon your delivery if it is by courier because we are not in contact with each driver. (Note: boxes display labels with instructions to leave in shade if no one is home, and are packed with ice or ice packs where appropriate e.g. cold goods, some perishables etc to ensure contents maintain integrity in severe heat for up to 30hrs). ORDERING MEATS AND POULTRY IS BEST TO BE IN BY EACH THURSDAY EVENING 10PM FOR THE FOLLOWING WEEK TO ENSURE WE CAN HAVE OUR FARMERS CATER FOR YOU IN THEIR SCHEDULE!!! SOME BULK PROUDCTS MAY NEED TO BE ORDERED ONE WEEK IN ADVANCE DEPENDING ON STOCK LEVELS. If you order outside the 10pm Sunday cut off time, we may still be able to fill your order. We will certainly do our best. If your order is late, please allow min 24 hours lead time to despatch your order (we may be able to despatch earlier). Why do we have a deadline? These are the reasons why advance ordering is required - YOM is not a corporate-style mass retailer, this is the only way to provide AUTHENTIC cottage produced products direct from growers. QLD & NSW - pickup Tue-Fri.
VIC Fastways depot - pickup Wed-Fri.
We do send non-perishables to Victoria to your door. However, we do not send perishable products (e.g. meats, dairy, fruit & vegs, cold goods etc) to Victora by courier. We are sorry about this but it takes 2 nights by courier and goods can spoil unless they go by refrigerated transport. However, we can send perishables if you are purchasing enough product to go by refrigerated transport. 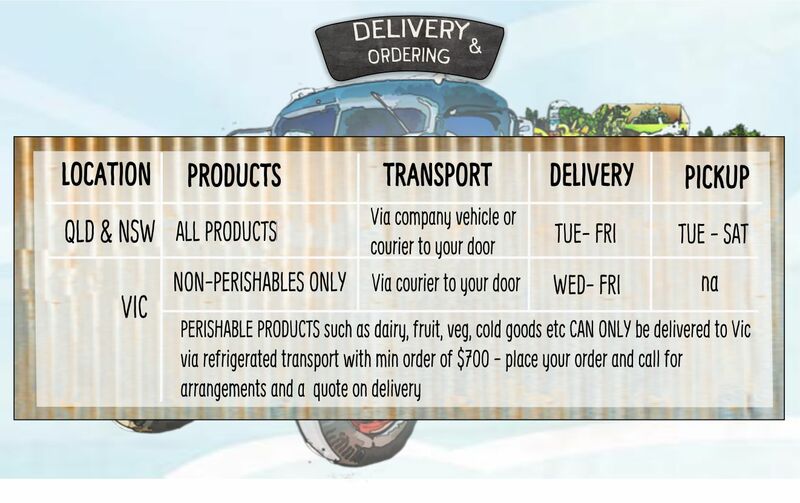 If you would like perishable products delivered to VIC, then refridgerated transport is available for buying groups with minimum order of $700 plus delivery costs. You may be required to pick up from a transport depot location, though there are usually courier services that may come to your address from these transort depots. Or, you could pick up from our partner company at Epping Markets (more info). If you would like to double check on any of this information, jusst give us a call on 1300 315 300 or send an email to sales@yourorganicmarkets.com.au . Give us a call on 1300 315 300 or 07 3353 9972 if you have any questions. EXPERIENCING ANY ISSUES WITH OUR SHIPPING SYSTEM? SHIPPING TROUBLESHOOT HERE! All other zones / cities / states TUE-FRI, with orders dispatched within 24 hours and delivered within 1 - 2 days (but outer regions can take 2+ days depending on service to the area). At checkout, you choose your delivery day. Please note All products including perishables (e.g. 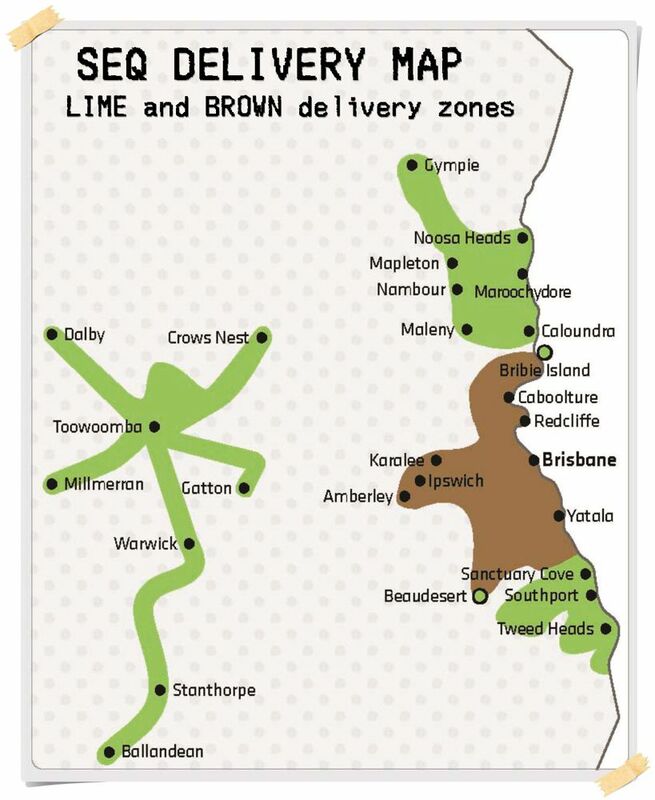 such as fruit, veg, dairy, meat etc) are available for delivery to QLD and NSW. Some conditions apply to VIC customers. See Vic delivery info. 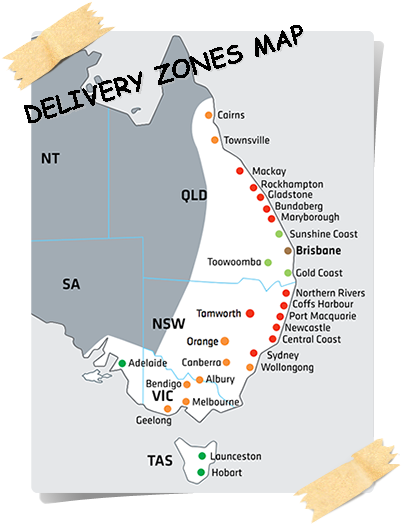 Grey Zone: We do not currently deliver to this zone, please contact us to see whether delivery to your address is possible. PLEASE NOTE: The above shipping prices are for 1 box up to 25KG in weight (approx dimensions 500x400x400mm). If your order requires multiple boxes, you may be contacted regarding payment for additional boxes. NOTE: if you are in a main region, you won't save by picking up at a Fastway depot because they will deliver it to your door for the same cost. Please consider paying via direct deposit or cash for pickup orders, as merchant fees won't be passed on to us or you. It is a secure payment method which costs nothing to use, and benefits small business and farmers. Our rewards program is only for REGISTERED FREE MEMBERS* and gives $60 off for every $2000 spent. Compared to Coles and Woolies which give $10 off for every $2,000 spent. FREE MEMBERS: for every $10 you spend with Your Organic Markets, you will earn 1 reward point. Every reward point is worth 30c, so if you spend $100 for example, you will earn $3.00 in reward points. Reward points can be redeemed at any time on future orders, you don't need to save up a minimum amount of points. When do I receive reward points for my order? These are credited to your account once your order is placed in the 'Complete' status. Please note that this may take a few days to a week to occur, after your order has been delivered. You can check your balance by going to MY ACCOUNT button at the top of any page - this will take you to your MEMBER account dashboard. During the checkout process at Step 4 (Payment method), you will see a box that says 'Use my reward points, X reward points ($X) available'. Check this box to use your reward points. How can I save a lot more money on my organic budget? All our cottage meat and poultry products are approximate weights only. The weights of products vary and can't be accurately calculated until your order is packed. For example, a size 15 chicken (1.5KG) could weigh 1.57KG or a 500g tray of beef mince could weigh 620g or 480g. In these cases we will either offset it with weight from another product such as another meat item, or a fruit or veg items if it is only very minor adjustment. We may contact you to request an additional payment or we may send a refund with your order or credit towards your next order, if it is neccessary; whichever the case may be. If for any reason you are not completely satisfied with your purchase of a non perishable product, we provide a 24 hour money-back guarantee from the time you receive the goods, and 5 days for non-perishables. If you are dissatisfied with any produce or perhishable items, you must please take a photo and also contact us within 24 hours of delivery. 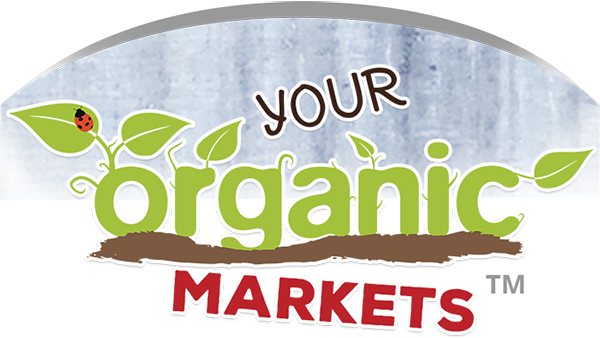 You can give us a call on 1300 315 300 or 07 3353 9972 or send an email to sales@yourorganicmarkets.com.au. We can then discuss an appropriate resolution with you. This returns policy does not apply to goods which have been worn or used, damaged after delivery, if any attempt has been made to alter the product or if it has been dropped or broken or you seek a refund because you changed your mind on the purchase. Where appropriate, any products that are returnable, must be returned in their original condition - we will pay for the postage.